Turn up the fun to max volume with our unicorn bouncy castle and unicorn ball pit with air jugglers for the ultimate in entertainment! 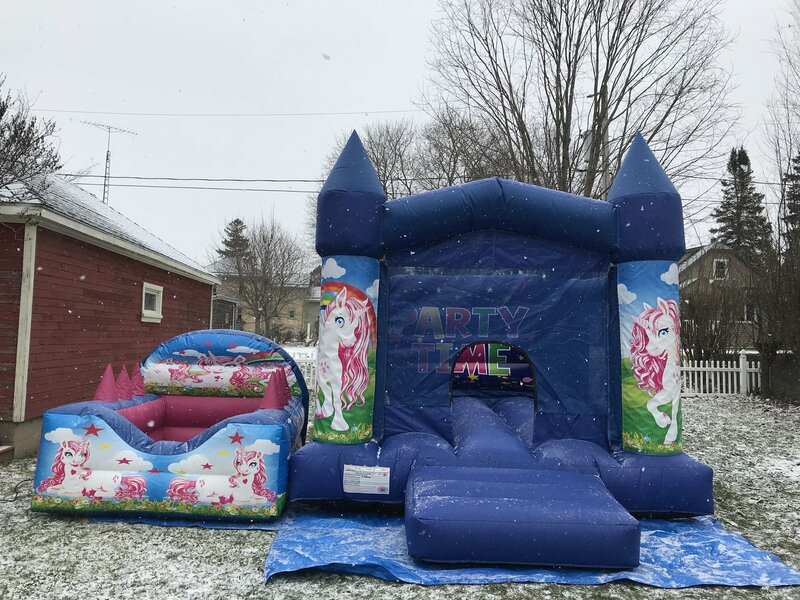 This unicorn themed bouncy castle can accommodate up to 7 small children, and up to four older children. It has a basketball net in the rear corner for extra fun!